If you would like to chat with your friends on WhatsApp while you are using computer, WhatsApp Web is the most comfortable way to do it instead of using an Android phone or an iPhone. Your settings will still work on this feature of the application. 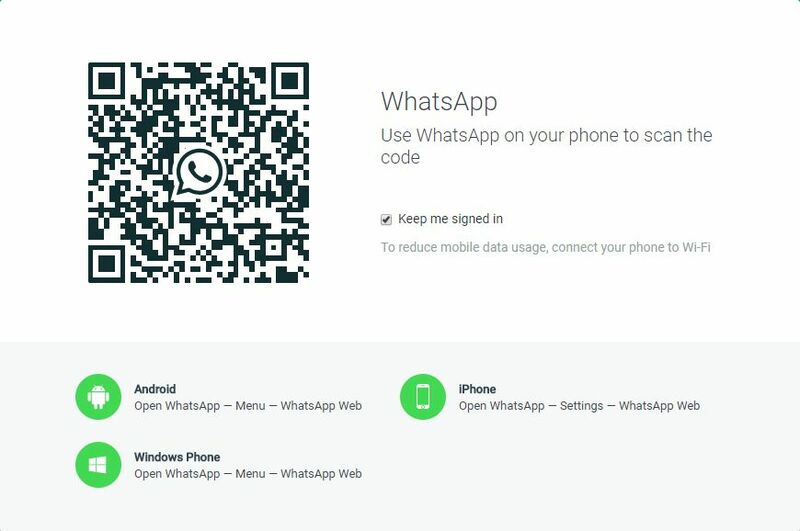 All you need to do is connecting to the web version of the application through using QR Code. We are going to tell you how to use this feature on here and we hope that it is going to be useful for you. Our tips are going to work for both for Android and iPhone devices. So don’t worry about the difference of the operating systems. 1-) Run WhatsApp application on your device first. 4-) Your Camera is going to work for scanning QR Code on your computer screen. If camera didn’t work please tap on “Scan QR Code” and then it will work. 5-) Get your phone’s camera to closer to QR Code on your computer and let it to scan. 6-) Now you are inside! 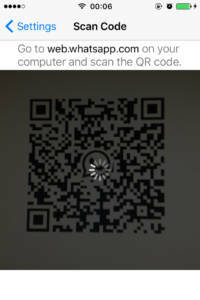 If QR Code doesn’t work for you, please click here to read troubleshooting. 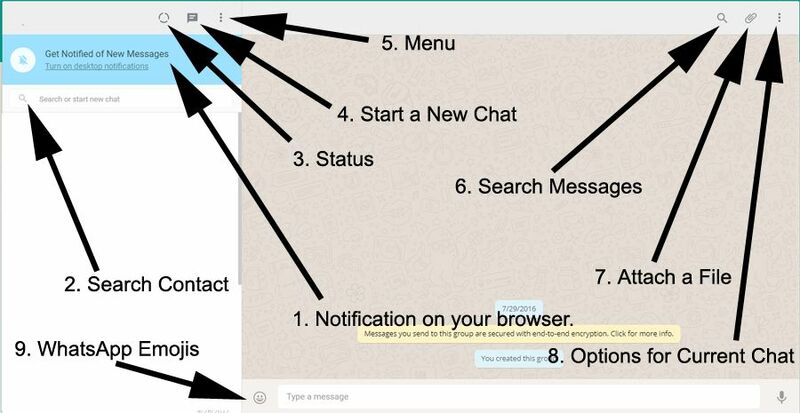 We have shown every features of WhatsApp web with arrows below. All pointy head of arrows are showing each features. We will mention about this picture at almost every paragraph below. If you would like to enable WhatsApp notifications on your browser, you will need to click on “Turn on desktop notifications“. You will see a message from WhatsApp that tells you should allow notifications. Click on “Ok, Got it” button and then click on “Allow” button for notifications. All done, you will get all notifications on your browser now, whenever you login to WhatsApp. You can see where to search a contact in the picture above. It is the second arrow which already named with Search Contact. Type one of your contact’s name on the box. While you are typing it, you will start to get results. Click on the individual which you want to talk. If you would like to change your status on WhatsApp Web, we recommend you to take look at 3rd arrow in the picture above. It is already named as “Status”. Click on the icon which we have shown with the arrow and you will able to see your status there. However it is not available to change it yet through web version. Actually it is very easy to figure out. All you need to do is clicking on Chat Bubble at the top left of the website. You can also check 4th arrow above in the picture above. You can also search a contact if you don’t want to spend too much time while you are seeking your friend from the list. Three dot menu at the top left is the main menu of the application and you can do several things with it. You can check the location of the menu with 5th arrow in the picture above. New Group: You can create a new group. Profile: You can edit your profile picture, your name and your about text. Archived: You can read your archived messages. Starred: If you have starred any message on WhatsApp, you can read them on here. Settings: You can do notification settings for browser version, you can change background color of your chat screen, you can check blocked contacts and you can add/remove contacts, you can check help files of WhatsApp. Log Out: If you are done with WhatsApp on browser, you can log out with this option. If you would like to search a message, you will need this feature. You can check 6th arrow at the picture above. You will need to click on search icon at the top right of the website. It will help you to find messages in your current chat. Please take a look at 7th arrow at the picture above. This is where you can attach files, pictures, videos and contacts from your computer. Just click on the attachment icon, select one of file types, choose your file from the computer directory and send it to your friend. Contact Info: You can check latest media shares with the individual, her/his profile picture, starred messages. Select Messages: This feature will help you to delete, star, forward or download a message to your device. Mute: Sound is going to disable for the individual or group. Clear Messages: This feature will clear entire messages with that person. Delete Chat: This is like clear messages but it also delete the person from only chat list. You can still start a new conversation with her/him. If you have any questions regarding using WhatsApp Messenger Web version please comment this page below or contact us or use our community. ← WhatsApp Images Deleted Automatically on Its Own, How to Recover?